Two Central Coast high school students have remained in medically induced comas this week as they recover from severe head injuries suffered earlier this month. 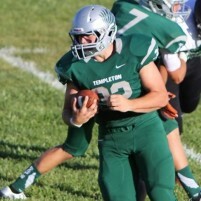 Templeton High School football player Isaac Lindsey suffered head trauma during a game against San Luis Obispo High School last week. He is being treated at Sierra Vista hospital where he underwent surgery over the weekend to relieve pressure building on the brain. Lindsey’s mother posted on Facebook Tuesday night that her son is in a coma most of the time But, doctors are giving him brief “sedation vacations,” in which they temporarily turn off the sedatives that induce the coma, Jenny Lindsey wrote on Facebook. KSBY reported Tuesday that 14-year-old Righetti High School student Cassandra Quesada is in a medically induced coma at Cottage Hospital in Santa Barbara. Quesada was hit by a car on the morning of Sept. 9 just outside the high school in Santa Maria. A Chevrolet El Camino collided with her after she stepped into a crosswalk at the intersection of Bradley and Foster roads. 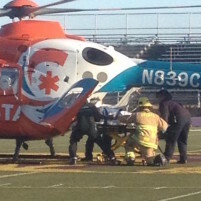 An emergency helicopter then landed on the Righetti football field and airlifted Quesada to the hospital. Quesada suffered severe head trauma and a broken arm in the accident. Doctors removed a portion of her skull to relieve pressure on her brain. Gofundme accounts have been set up for both of the critically injured students. Donations to Lindsey’s gofundme have totalled $87,666 as of Thursday morning. 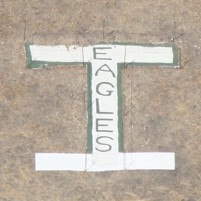 The Templeton community has also supported Lindsey by forming 32, his jersey number, on a hill and by transforming the “T” next to the high school into an “I” for Isaac.